Like it or not, the iPhone X notch had became a trend. Not only it serves a function, but it helped the iPhone instantly being recognized in a sea of devices that are all identical. Before the X, few manufacturers had the courage of including a notch. Now everyone wants one. If BB ever release another device (by themselves of through TCL), should it have a notch? If it does, would you buy it? Notch is in anyway not a hindrance. My son has iPhone x and he tells me the notch helps in figuring out which end of the device is the top. I have not used any device other than BlackBerry and if TCL / BBRY comes up with notch I will not mind it at all. I would notch buy it. skinnymike1, BigBadWulf, Carjackd and 6 others like this. AmritD and skinnymike1 like this. I could definitely live with a notch on a BlackBerry. Edge to edge QHD screen, PKB, and almost no bezels would be a thing of beauty indeed! Well that’s the definition of a notch! The reason why it exist is because of the earpiece. And since the removal of the home button, it’s full screen on bottom and « notched » on top. It’s not an non existant problem.Technologically there is no way around it for now. ...ah, I misunderstood what you 'notch' was...didn't really look and was envisioning something else...lol. I would prefer the notch on a bottom corner, where the navigation bar has to be there anyways. No they don't. It's being forced on them. Often at times, without the same reasoning the iPhone has for including them. It's even part of Android now for developers. It's fine as long as they include the option to hide it as some other OEM's have. I would not buy a phone with that notch. Yes, I said it. It's stupid. No reason for it. And all the other OEMs who followed it are stupid. Even on the Essential which had it BEFORE the iPhone X, it looks stupid. It looks like a design screw-up, like the only reason was to "say" the screen is bigger. I'm sorry, but screen shape integrity is more important to me. Nothing should ever cover up usable screen area. Period. I'm not as hung up on the size, or even the ratio, but all four edges have to remain intact. While I'm at it - edge to edge screens - especially with curved edges - are also stupid. I know - I have an S8. And the curved edges are a pain in the rear. Even with a case. It's like usability and ergonomics has gone out the window for the sake of marketing blurbs. "Ooooh, look at what we can do now". Sorry for the rant, but it was asked, and that's one of my buttons, and totally my own opinion. the_boon, towngirl, Bbnivende and 3 others like this. Spot on, these OEM's make it seem as if there's nothing they can innovate on rather than just making screens bigger and copying Apple while they're at it. OEM's themselves have joined the iSheep herd, it's not just the consumers themselves. 3) it is not a feature or a value added design element. It's a cheap and easy gimmick for OEM'S in 2018 to say "Look, we did something new!" Some manufacturers, including Apple, are exploring under the screen sensors in order to have full frontal screen. But I believe that it all depends how the notch is used. If the left and right of the notch is a status area... then you gain some interesting real estate. Not sure about how apple implemented cause the notch covers part of the screen in games and movies. 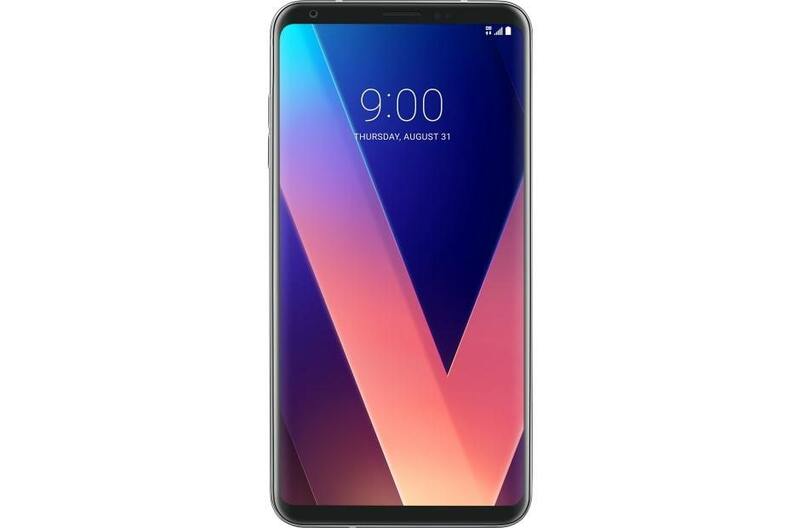 I have an LG V30+. Notice it has a full-face screen with tiny upper and lower bezels and NO NOTCH. Why anyone would put in a notch is beyond me. It's idiotic. AmritD, johnny_bravo72, Invictus0 and 1 others like this. My biggest hangup with the Notch, is that while a major intent was to provide some navigation functions to remove the Home button... Why the hell would you place it at the TOP of the display? If a smartphone wishes to use the notch... at least place it at the bottom of the display where a simple thumb gesture can access it easily. Especially given that the Android OS already utilizes a software based solution for a button bar at the bottom that disappears entirely as needed, there's zero reason that a hardware notch at the top is even warranted since the software based bottom bar could incorporate the same features, disappear when relevent, and would be more conducive to thumb use. Why the hell the notch is at the top is beyond me. Who thinks a notch was a good idea, must have been drunk. Some phones with a notch, you can't easily watch a movie ect. without increasing the viewing mode so you can see everything as the notch is in the way. The notch on my Essential is perfectly fine. Clock and the status/notification icons get pushed into the space, when I rotate it sideways , it uses the whole rectangle from the bottom of the Android nav keys to the edge of the notch. Maximized the use. It looks weird when the notch is visible, but most of the time the icons have a black background and like it's not even there. My son has iPhone x and he tells me the notch helps in figuring out which end of the device is the top. With the KEYone, it's easy to tell the top from the bottom. The top is the side without a space bar! No notch required. anon(9188202), john_v and oc6204 like this. Actually Android devices are starting to copy the notch. The fact that people are talking about the "notch" on mobile phones is proof that mobile innovation has almost completely stopped. The notch is a tiny design detain, not a feature. towngirl and AmritD like this. Right, people should praise phones like the KEYone and Moto G series for actually bringing innovative / different design features. KEYone for the capacitive keyboard, Moto G series for the modular accessories. Cool! Will BlackBerry update my PlayBook so it has the notch?